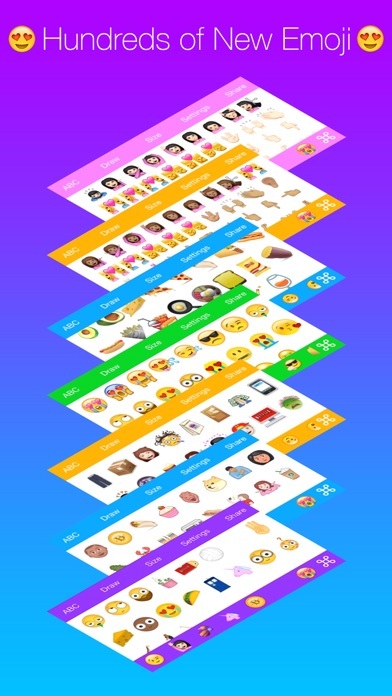 This emoji keyboard contains the most asked for emoji on earth. Its finally here. 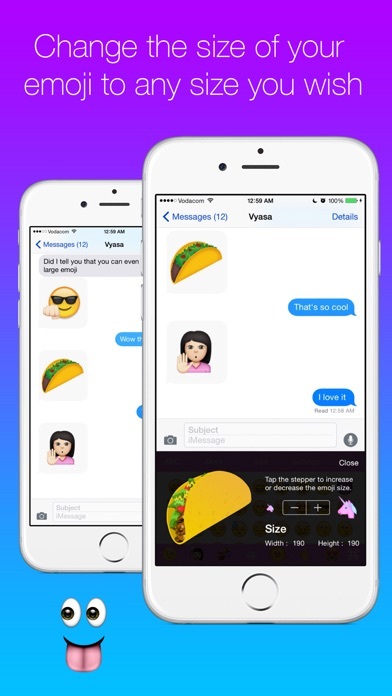 New Cool Emoji contains hundreds of new emoji. There are many other features to. You can draw, insert text on photo, use cool fonts and much more. 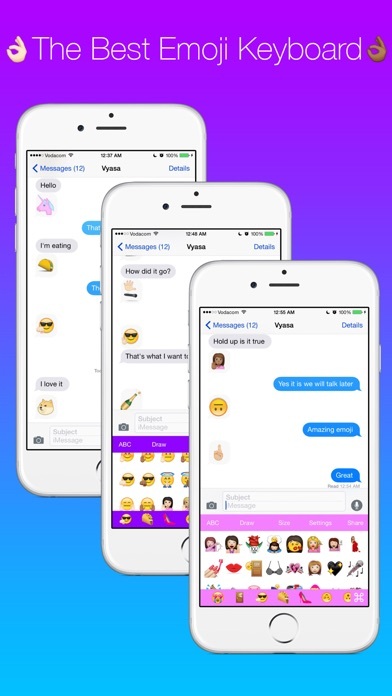 The emoji size can be change from small to large sticker sized emoji. We have added a whole lot of emoji. Every emoji you want is here. 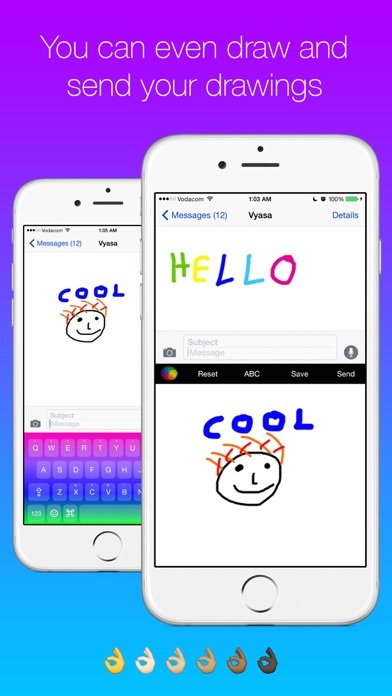 Drawing is also possible on this keyboard so if there is an emoji that you need you can draw and send it. Its really amazing. This is the only emoji keyboard you will ever need. Certain Emoji Packs have to be unlocked through an In-App Purchase. Emoji works in chatting apps but you can't use them in Instagram comments. 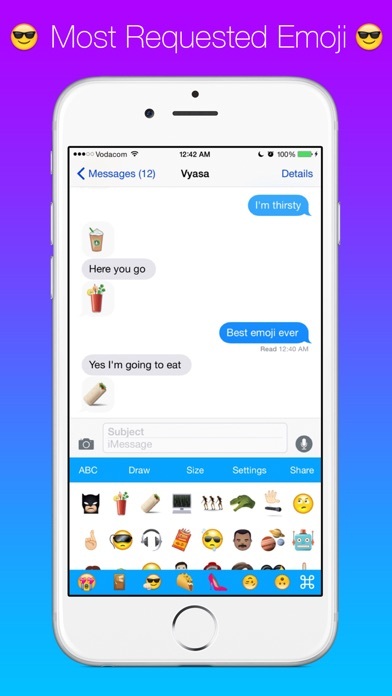 Font Keyboard Pro - Cool New Text Styles & Emoji Art Font For iMessage, Twitter, Kik, Facebook Messenger, Instagram Comments & More! by Funworks Studio Co. Ltd.